Where can I get a Chinese Visa in Hong Kong and how much does it cost? How to travel from China to Hong Kong (the cheapest way)? If you can’t apply for a visa in your country of residence because you already live in Asia or you’re traveling, Hong Kong is still the best place to get one. In the first part of this article we’ll explain where you can apply for a visa in Hong Kong (you can use an agency or go directly to the CVASC), and which documents are necessary for getting a visa. In the second part of this article we’ll explain how to travel from China to Hong Kong in the quickest and cheapest way in order to get a visa. Note that all the information that you’ll find in this article is the result of our own personal experience, since we’ve applied for many visas in Hong Kong, starting way back in 2012. For more general information on Chinese Visa, I suggest you read Chinese Visa application: A complete guide. If you are an American, Canadian, Australian or European (from E.U, I mean) citizen, then you don’t need a Visa as long as you stay for less than 90 days (British people can stay 180 days). If you come from another country, you should go to this page to check whether you need a Visa or not. Once you arrive in Hong Kong, a customs officer will stick a “Visa exemption” ticket on your passport, which specifies for how long you can legally stay in Hong Kong without a Visa. In the second part of this article, I’ll provide all the Visa costs in HKD (Hong Kong Dollars). Keep in mind that at the time of writing, 10 HKD = 1.29 USD = 1.16 Euro (you can find the exchange rate in real time here). Where can I get a Chinese Visa in Hong Kong? First Update: At the moment, according to our readers this is the easiest solution (unless you hold a Hong Kong resident permit). Second update: Generally speaking, if during the last twelve months you have already obtained one or two Chinese Visas in Hong Kong, it’s going to be hard to get more than a 14 day tourist or business Visa (unless you have a legit invitation letter from a Chinese company). If you aren’t one of those people that basically live in China with a tourist or business Visa, then you should be able to obtain at least a 60 day tourist Visa (double entry, this means that you’ll have to exit and reenter China after 30 days) or a multi-entry 6-12 month business Visa. Note that if you obtain a multi-entry business Visa of 90, 180 or 365 days, you’ll have to exit China every 30, 60 or 90 days (according to the Visa you will get). Moreover, in order to obtain a business Visa with a duration of 90, 180 or 365 days, usually you must have already obtained in the past a Chinese Visa outside the Chinese territory and have in your passport at least a stamp from the Chinese immigration office (that is you have already been in China). If you applied for your Visa through an agency before August 2013, it was possible to obtain it within five hours. Nowadays, the rush service is two working days (that is, 24 hours because in China, the day on which you apply is included in the working days) for short term tourist and business Visas, and up to fifteen working days for a 6 or 12 month business Visa (according to the situation). There are a lot of Visa agencies in Hong Kong. Personally, I like Forever Bright. With the rush service, you’ll pay 750 HKD for a single entry L or M Visa and 850 HKD for a double entry L or M Visa (prices are 450 HKD and 550 HKD for the 4 days service, respectively). However, there are many exceptions to this; you can check the price for your nationality by following this link. The 6-12 month business Visa isn’t available for all nationalities and will cost you between 850 and 1,550 HKD (however we heard of people that paid up to 8,000 HKD; thus we advice you to contact the agency well in advance, in order to know what fee you will have to pay in your case). The easiest way to find the agency is to take the subway to Tsim Sha Tsui East Station, leave through exit P2 and walk North on Mody Road (just turn left at the exit) up until the intersection at Science Museum Road, where the agency is located. From the P2 exit, it takes about ten minutes to get to the office. The other agency that seems to be quite good is CTS (China Travel Service), located at the Hong Kong airport. I’ve heard that here, you’ll need at least three working days to get your Visa. If you don’t want to use an agency, then you will have to apply for your Visa at the CVASC (unless you own a special passport). Here you can find most of the information you will need (including the list of required documents, according to the type of Visa you want to apply for). Here you find the Visa fees. Here you can schedule an appointment for your Visa application. Update: Since January 2018, this option is not applicable anymore for ordinary passports. Thus, if you own an ordinary passport, your only options are to apply with an agency or at the CVASC. 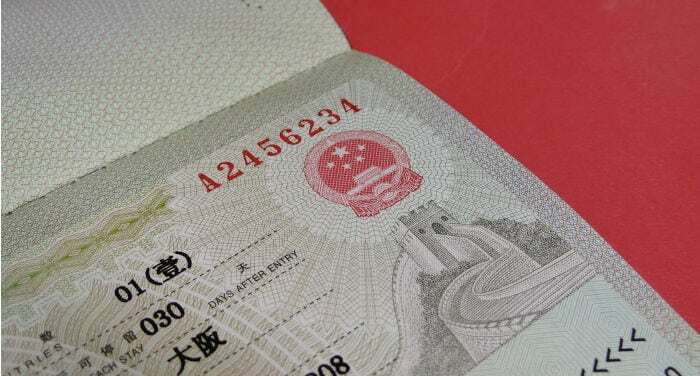 In general, a single entry Visa costs 200 HKD, a double entry visa 300 HKD and a multiple-entry visa 500 HKD. However, we are talking about China! This means that there are many exceptions. For example, American citizens have to pay 1100 HKD for any kind of Visa, and British citizens need to pay 360 HKD for a single entry one, 540 HKD for a double entry one and 1090 HKD for a multiple-entry Visa. There are also exceptions for other countries; you can find the complete price list here. It takes four working days to get your Visa; however, you can apply for the express service if you want to have it within three working days (you’ll pay 200 HKD extra), or the rush service if you want to get the Visa within two working days (you’ll pay 300 HKD extra). Note that the day on which you apply is included in the working days, so if you apply for a rush Visa on Monday you’ll get it on Tuesday. Also, take note that for some nationalities (France, for instance), express and rush Visa service isn’t available. Don’t ask me why; this is just the way it is! If you are planning to stay in a hotel and have no interest in visiting the city, then the rush service is more convenient, as hotels in Hong Kong are quite expensive. This means that you’ll end up spending more than the 300 HKD extra needed for the rush Visa process. Here’s a testimonial from our reader, Enrico Penna (edited by me). Getting a visa at the consular office is complicated because, even if they require various documents, the complete list of the specific documents needed isn’t published anywhere, and moreover, when they deny you at the counter, of the many necessary documents they tell you only one at a time in a way that you won’t even get it the next time around. To conclude, if you’re traveling with a minor child, you’ll also need a birth certificate in English and two copies of the parents’ passports. Luo Hu: The border between Shenzhen (China) and Hong Kong S.A.R. If you are coming from Europe or the U.S., you can just take a flight to Hong Kong International Airport. Then take the subway or a taxi to your hotel (click here to read our reviews of the best luxury, medium-range and economic hotels in Hong Kong). However, if you live in China and are coming to Hong Kong to renew your Visa or for a Visa run, you may want to consider taking a plane to Shenzhen, a Chinese city located just across the Hong Kong S.A.R. border. Why? Because a domestic flight from any Chinese city to Shenzhen is usually cheaper than an international flight from any Chinese city to Hong Kong. Click here to learn what are the best website to book a flight in China or Hong Kong. 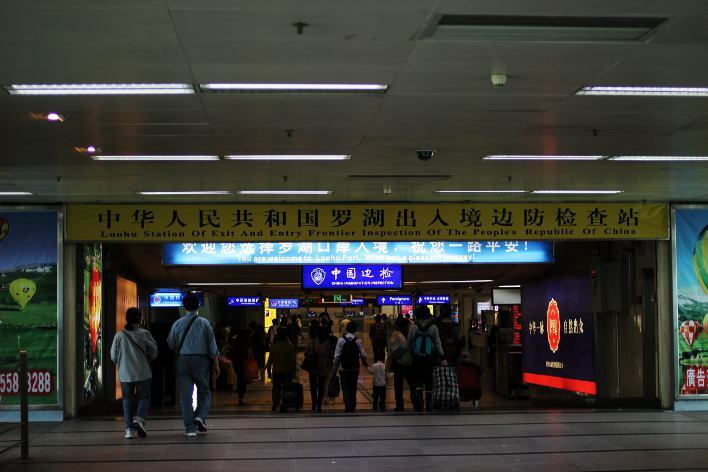 Once you get to Shenzhen, you can take line 1 of the subway from the airport to Luo Hu station, which is located on the border with the Hong Kong S.A.R. It will take ab out 90 minutes, as you have to cross all of Shenzhen. At this point, you can cross the border by walking (it takes from 10 to 30 minutes depending on the line) and then take the Hong Kong subway to downtown (about 50 minutes). The total price is about 80 HKD. The other option is the bus that departs from the arrivals floor at Shenzhen airport and arrives at Tsim Sha Tsui Station, which is in Kowloon but very close to Hong Kong island, and which takes about 90 minutes (if there isn’t too much traffic at the border). Even though you have to take two buses, one to the border and the second from it, it is only one ticket (I think it costs 150 HKD). The first bus drops you off at the border, which you have to cross by walking, while the second bus waits for you across the border (it’s all explained on the ticket). If this trip from Shenzhen to Hong Kong seems too complicated to you, you can fly directly from China to Hong Kong. In this case, I suggest you to read our guide on how to book a flight ticket in China. The other possibility is to take a train from any Chinese city to Shenzhen and then cross the border at Luo Hu (the train station is quite close). Take note that a hard sleeper ticket on the night rain from Shanghai to Shenzhen will cost you 470 Chinese Yuan while a plane ticket is worth around 650 Yuan. Since the difference in price is relatively small and the train is way slower (around 15 hours instead of 2), I usually go by plane. Can I get a work or student visa in Hong Kong? According to many comments we receive, it is possible – even if in theory such visas should be requested in the country to which you belong. They’ve told us that the key is, besides having all your documents in order, having an invitation letter that clearly specifies that the visa be applied for in Hong Kong. How long does it take to get a visa for China in Hong Kong? From two to four business days including the day you apply for your visa. Where can I stay while I wait for my visa? 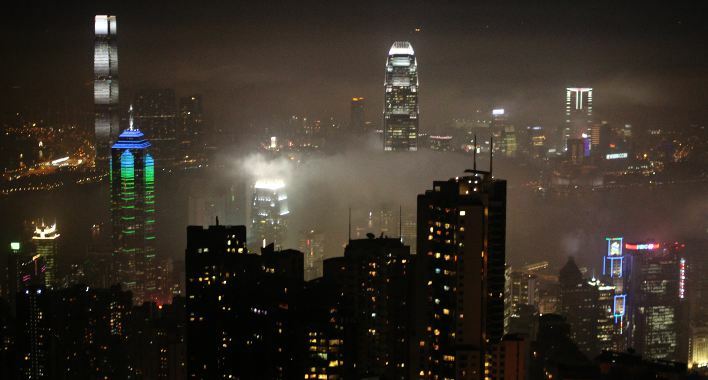 Click here to read our reviews of the hotels we recommend in Hong Kong. How long does a visa issued in Hong Kong last? It depends on the type of visa you apply for and what you manage to get. Note that if for example your apply for a two-entry tourist visa of 30 days each, you won’t necessarily be issued that exact visa. It is possible, depending on the case, that they’ll just issue you a single entry visa of 30 days (or less). Have you ever personally applied for a visa in Hong Kong, or is this article based only on the experience of your readers? Yes, we have applied for – and obtained – several times a visa in Hong Kong.